The arm is made up of muscles, nerves and bones, all of which are subject to the possibility of injury as well as damage. The same goes for some ligaments and tendons that are found within that same area. 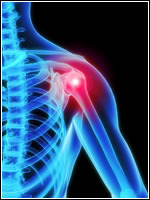 In general, a sharp pain can affect the right and left parts, as well as the lower and upper parts of the arm. Sometimes, this stabbing pain may come from the chest and neck areas. For these reasons, it is highly important for people to be knowledgeable about the symptoms, causes, diagnosis as well as treatment for this painful medical condition. It is good to see a doctor upon the onset of these arm pain symptoms. If your arm pain comes with shortness of breath and severe pain in the chest area, it is best to call for help right away because these are clear indications of a heart attack. Meanwhile, patients must take the proper measures right away in case they cannot stretch out, or worse unable to move their arms. Sometimes, swollen and deformed arms can come with tingling pain. It is also good to consult the doctor right away when experiencing shooting pain after exercise and work. In situations where the arm experiences chronic pain or a dull feeling for two days or more, go to the hospital and have it checked right away. Based on research, the most common causes of arm pain are gout, bursitis and tendinitis. It can also be caused by other medical conditions such as peripheral vascular disease, peripheral neuropathy and herniated disc. Sometimes, it is caused by rheumatoid arthritis, psoriatic arthritis and cellulitis. Of course, injuries are always a problem including strains, sprains and fracture, all of which are guaranteed to cause chronic pain. The other possible causes are whiplash, vasculitis and fibromyalgia. The diagnosis of this type of pain includes a variety of important methods. General appearance is needed, where the patient will be checked for abnormal arm movements, deformity of the arm as well as bruising. After that, a physical examination may take place, where significant aspects such as sensation and muscle tone will be tested. There will also be blood tests, a series of x-rays and electromyography, which is used to examine peripheral nerves. There are many known medications for arm pain. It is good to try different types of naproxen like Aleve, Naprosyn and Anaprox. Various kinds of ibuprofen can also give relief from dull pain such as Nuprin, Medipren and Advil. Some physicians may recommend celecoxib, acetylsalicylic acid or acetaminophen. Antipyretics and analgesics can somehow reduce the pain experienced by the patients.